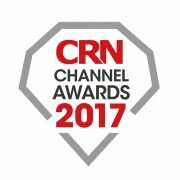 Last night, over 1600 professionals attended the CRN Channel Awards 2017 in Battersea Park, London. These awards are highly regarded within the industry, recognising excellence and rewarding outstanding performance in the UK IT channel. There are a number of categories for vendors, distributors and resellers alike. Metaphor IT were shortlisted for the Rising Star Award for the Reseller Category which recognises excellence in the delivery of solutions, service and support to customers, taking into consideration the company’s ability to deliver real benefits to their clients, and meet customer objectives in terms of improved efficiency, ROI, investment protection and cost reduction. 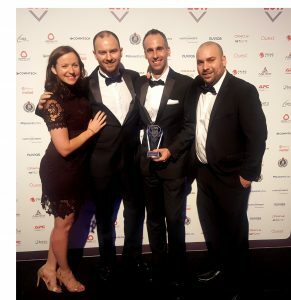 Metaphor IT are delighted to be crowned as the winner of this award, ahead of four other businesses that have also seen exceptional growth in 2017. We are delighted that a 25-strong panel of industry experts were impressed by our growth, recognised that we have been a disruptive force and believed we have the potential to continue our rapid growth in the future. We demonstrated this through the development of our Managed Cyber Security Service and our Desktop-as-a-Service platform. By investing in these new and innovative solutions, Metaphor IT are able to offer cost effective solutions to businesses of all sizes. If you would like to learn more about our solutions and services then contact us here. What is really scary behind the Paradise Papers? Have you been thinking about Microsoft Office 365?